POULTNEY, Vt. — Timothy Wayne Mock passed peacefully just before midnight on Feb. 11, 2019 at the Albany Medical Center in Albany. He was born on Sept. 19, 1949 in Glens Falls. He was predeceased by his mother, Mary Holleran and father, Wayne (Pat) Mock. Survivors include his wife of 25 years, Pamela Mock of Poultney, Vermont; a brother, Thomas Mock of Swanton Vermont; and a sister, Sharon Decato of Rutland, Vermont. He is further survived by four loving daughters, Jessica Spooner of Parker, Colorado with granddaughter, Mallory, Nicole Mock of Kinsley, Kansas, Teagan Mock-Fuller and grandson, Noah of Loomis, California and Shannon Mock of Poultney, Vermont with grandchildren, Talan, Callie and Rya; his stepdaughter, Cassandra West and grandson Hunter of Rutland, Vermont; and many nieces, nephews and beloved cousins for whom he had fond memories from their childhood adventures on the Vermont family farm, and picnics in the Adirondack regions of New York. Timothy’s entire professional career was dedicated to the education and well-being of children. He began his career in Poultney, Vermont, first as a teacher and later as the school’s principal. He was also a principal in Nobleboro, Maine, Newfane, Vermont, and Bethel, Vermont. 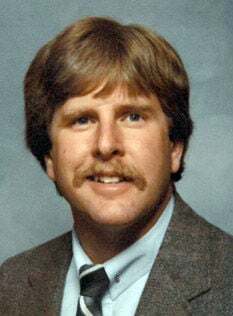 He later became Superintendent of Schools for the Windsor Northeast Supervisory Union in Bethel until his retirement in 2010. Timothy’s favorite pastimes involved being outdoors; particularly hunting and fishing. His greatest peace of mind came by being among all things wild and natural. There will be calling hours from 3 to 6 p.m. Friday, Feb. 15, 2019, followed by a memorial service, at 6 p.m. at Roberts-Aubin Funeral Home located at 266 Allen Ave. in Poultney. There will be a private family gathering later in the spring. In lieu of flowers, the family requests that those who are called to donate do so to the Vermont Fish and Wildlife Trust Fund, 1 National Life Dr., Dewey Bldg., Montpelier, VT 05620-3208. Arrangements are under the direction of Roberts-Aubin Funeral Home.